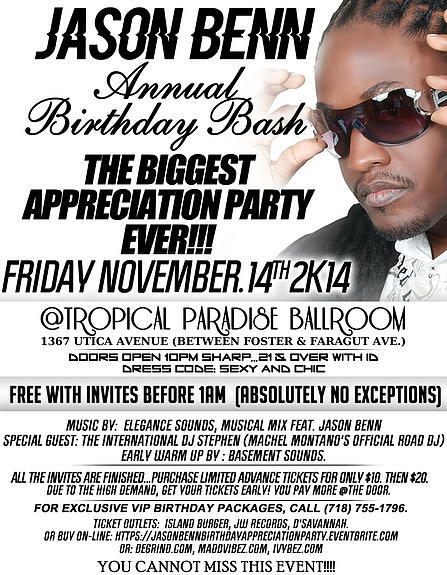 DJ Stephen returns to Brooklyn for Jason Benn's Annual Birthday Bash! Catch DysChick jumping up to music by him, Elegance Sound, and Musical Mix at Tropical Paradise Ballroom on November 14th. Get your $10 tickets now and leh we go!